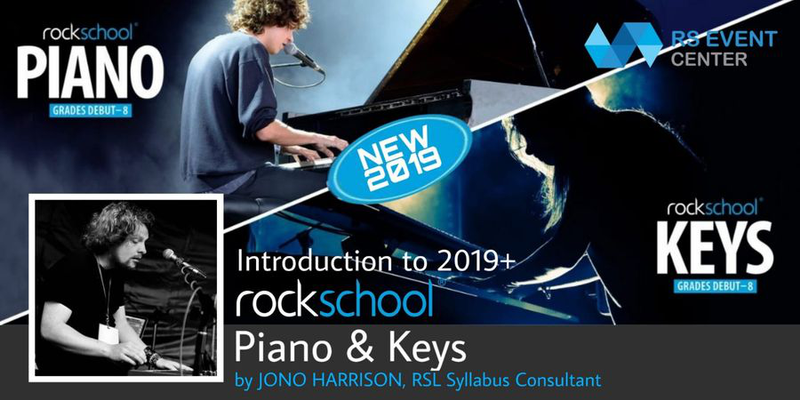 Syllabus Creator and Consultant Jono Harrison introduces the new Rockschool Piano and Keys Syllabuses launched in February 2019. These two ground-breaking syllabuses provide candidates with an engaging, academically rigorous and industry-relevant portfolio of graded exam arrangements featuring music from artists and composers such as Elton John, John Williams, Ed Sheeran, Emeli Sande, Queen, Eurythmics, Chvrches, and many more arranged into melody and accompaniment, solo, and vocal accompaniment styles. This repertoire is accompanied by a rigorous technical offering covering all key centres and new scale/arpeggio types, and new technical studies that bridge the gap between technical and performance areas, and giving candidates a choice between sight-reading or improvisation from Debut to Grade 8. *The 2015 Piano Syllabus can still be used for examinations until 2020, and can be used as a source for Free Choice Pieces beyond 2020. 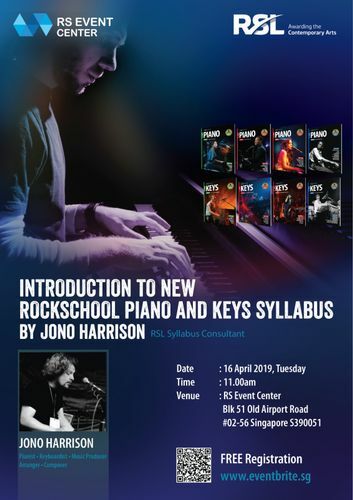 Jono Harrison is a multi-instrumentalist and specialist in piano and keyboard instruments, and has over 20 years’ experience in the music industry and in music education. As a performer he has toured internationally, both solo and most recently with Wang Chung and Grammy-nominated British rock band Cutting Crew. As an educator, he has a vast experience of teaching at all ages and levels—from instrumental tuition in schools through to ensemble workshops and masterclasses, having lectured in musical performance, theory, technical studies, cultural studies at institutions such as the Academy of Contemporary Music in Guildford, UK. Jono is also an active composer/producer/arranger, often being called upon to provide string arrangements to pop and rock recordings, and providing soundtrack music for television documentaries.